Many factors come into play and therefore our products may from time to time go out of stock. Head office in the USA has to source ingredients, mixing, quality control tests, labelling and shipping are contributing factors in the delivery to South Africa. We do not have dates as to when the products will be in stock, but please be ensured that we are as eager to supply you as you are to receive your orders! The best way to be notified is by signing up on the product page (see the image below). This will not sign you up for our mailing list, it is a once off notification. See the end of the article for updates as we have them. We kindly ask that you do not contact our support staff for further information regarding time frames for products that are out of stock, unavailable, or have yet to be released. We can then answer other questions, concerns, and problems in a timely manner for all our customers. Thank you for your patience and understanding. In rare circumstances, you may receive an item that is damaged, defective, or possibly missing from your order. Should the item in question not be available for purchase on our store, please contact us so we may find a resolution for you. 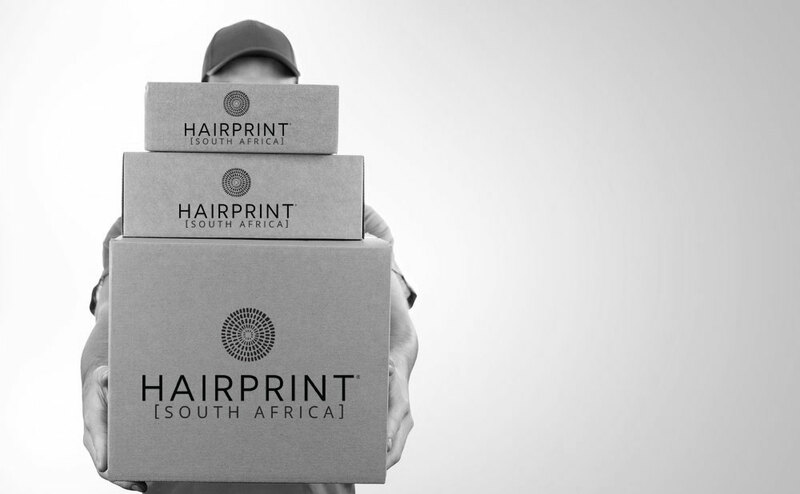 To stay updated on any developments regarding HAIRPRINT South Africa, sign up for our online newsletter. We host sales ( though rare) and limited or periods while supplies last. We would love for you to be able to take advantage and join us for our sales! If you’re interested in future promotional offers, feel free to contact us before making any purchases. While we cannot share specific details of promotions, we are happy to notify you of pending sales upon inquiry. – There can only be one discount code entered during the checkout process. – The above restriction extends and includes HAIRPRINT Gift Cards. – Promotional times and activities are for a limited time only and are valid while stock last. – If you wish to take advantage of any current offers, you must place the order during the specified sale period. – We will not apply discount codes or promotional codes to orders place before or after an identified sale / promotion period. – No refunds, store credit or gift cards will be compensation for missed sales. – To qualify for free shipping in South Africa, all orders must equate to R 1500 or more. – The terms for free shipping are as follows: The total purchase price must be equal or be more than R 1500 after discounts, promotions are applied. – The South Africa Tax percentage excludes the price bar of R 1500. – You are required to choose the ” Free Shipping” option at checkout. – If you are not seeing “Free Shipping” during checkout, this means your order total and/or your shipping address does not qualify for Free Shipping. If you do not qualify for free shipping it cannot be retroactively applied to your order. -During busy seasons, sales/promotions may impact the speed at which orders are fulfilled. Though we normally ship same or next business day, there may be an additional 1-3 business day delay in processing orders. – We process orders as it is received. Please note that we only ship Tuesday-Friday, we do not ship on weekends or public/company holidays. Once your order has been processed, delivery estimations will ensue. – Some sales or promotions may prevent customers from signing up for subscriptions on certain products. This is only temporary and will not impact any existing product subscriptions. – Occasionally, a product that is on sale or a variant of a product that is on sale may go out of stock. Regardless, if the product is going to be restocked, sales/promotions are only applicable to current stock during the sale/promotional period. – If you purchase a comparable product in place of one that has sold out in the hopes of exchanging it later for the correct product, the sale price will not be applicable after return. You will, unfortunately, have to pay for return shipping, possibly a restocking fee, and then have to reorder the correct product at the current or normal price. If the item(s) are clearance items, they may not be eligible for a return, even for store credit. Sales and promotions are exclusive to our regular customers. Sales are not applicable to wholesale, distributors, salons, or VIP accounts. Other restrictions may apply depending on the sale/promotion. We truly appreciate your business and support of our products and services. If you missed a recent sale please be on the lookout for our next sale in your newsletter!! What Methods Of Payment Are Accepted For Online Orders? CREDIT CARDS – We accept most major credit cards such as VISA, MasterCard, American Express, and Diner’s Club. We process credit cards using Payfast Payments, which is secure and encrypted to protect your financial information. We do not store or have access to any of your financial information such as credit card numbers or passwords. EFT – If you have a wholesale account with HAIRPRINT, you may be approved to pay EFT. This option is not available to customers. Contact us for more details. *If you check out with a subscription item in your cart or try to place a subscription order, the only payment option will be with a major credit card. There is presently no way to offer multiple payment options for subscriptions. We do not recommend using an E-VISA or preloaded credit card for subscription orders as your schedule may get interrupted. Subscriptions that fail 10 consecutive payment attempts will be cancelled automatically. We take chargebacks very seriously. We understand that sometimes things go wrong and that you may not be satisfied. Please contact us before issuing a chargeback or disputing payment of a purchase. It is possible to make changes to an order, but there is not a guarantee that this will happen. If you need to make a change to your order, please contact us immediately and we will do our best to accommodate you. Important note: If your subscription has automatically placed an order, cancelling your subscription does not cancel the order. After an order is placed, it can take 24-48 hours (depending on demand) for it to be processed for shipping, but we try to ship everything as quickly as possible. NB – add an extra 3-4 business days to other towns. There are other shipping options available if you need your order urgently. We process orders in the order they are received, Tuesday-Friday. Orders placed after 12pm will generally be processed for shipping the next business day. We do not ship any orders on the weekends or holidays. *These are shipping estimates and aren’t guaranteed. I Didn't Receive My Order. What Should I Do? The best thing to do is check your tracking number first. If you don’t have one or cannot find one, please contact us. Please note that tracking numbers sometimes report incorrect or incomplete data, but this is not necessarily an indication that your order has been lost. In some cases your tracking number may indicate that your order was delivered and you might not have received anything. The best thing to do is contact the shipping company (especially your local delivery centre) regarding your tracking number and to check with your neighbour’s to see if it was mis-delivered. If you are unable to locate your parcel, or if it seems likely to have been lost, please contact us. The Below is only Applicable once we get the subscriptions going. When I Go To Checkout I Only See South Africa as Country Options. Why Can't I Choose My International Country? We only offer subscriptions of our products in South Africa, so you may have accidentally added a subscription item to your cart. Once the subscription item(s) have been removed from your cart, you will be able to see all the countries we ship to.